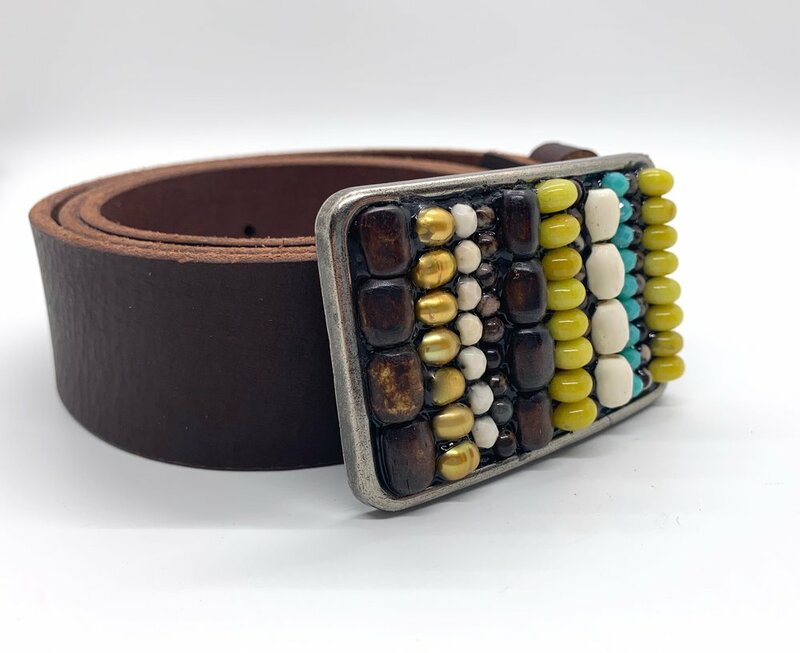 Each buckle is a unique, one of a kind design. 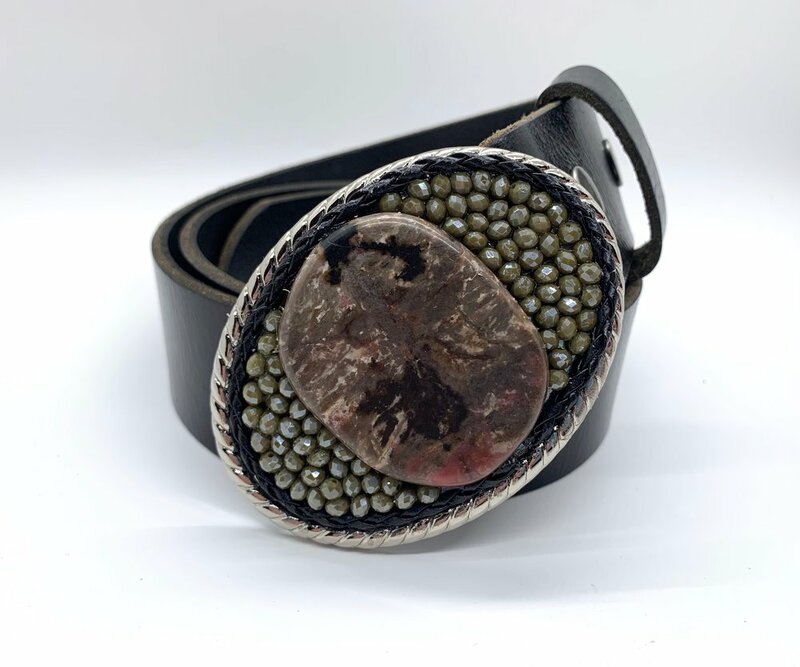 Made from stones, pearls, beads and sealed with a high-gloss epoxy to last a lifetime. The metal bases are interchangeable and fit any 1.5" wide snap-belt. You can also find a large variety of leather and suede straps available on my Etsy store. 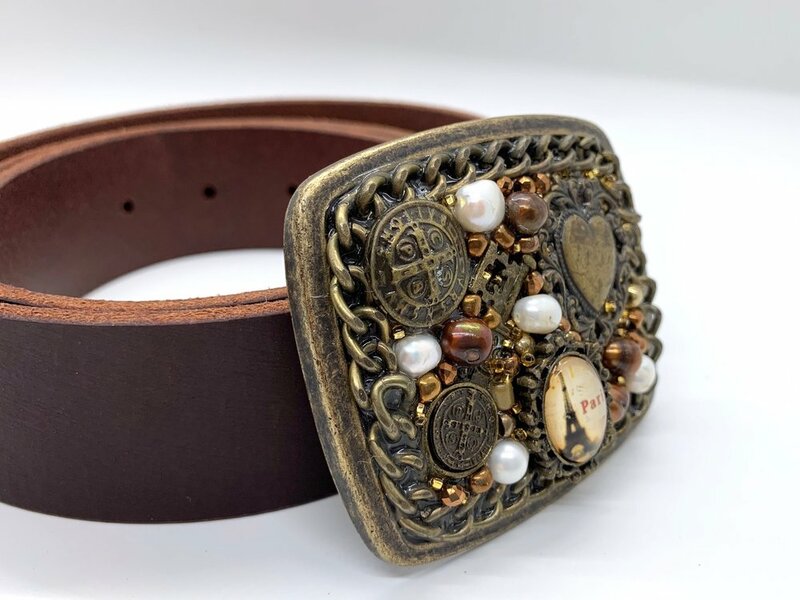 For current available buckles, please check the shop page.